Welcome to the very first Global Design Project, #GDP001. To say I am excited is an understatement! The best part is YOU can play along too....Yay!! 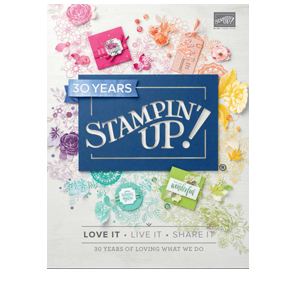 Each week there will be a new challenge and the Global Design Project Members are sure to wow you with their creations and keep you so inspired you will be itching to create and play along. 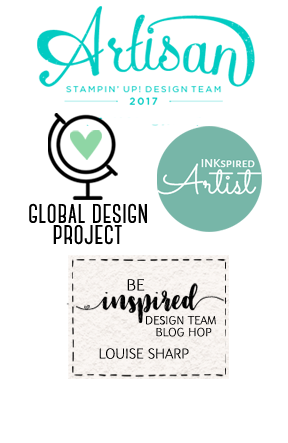 Our first challenge is a colour challenge and if you follow my blog you will know that colour challenges are not on my favourites list! I did enjoy this challenge though and I am quite happy with my result. 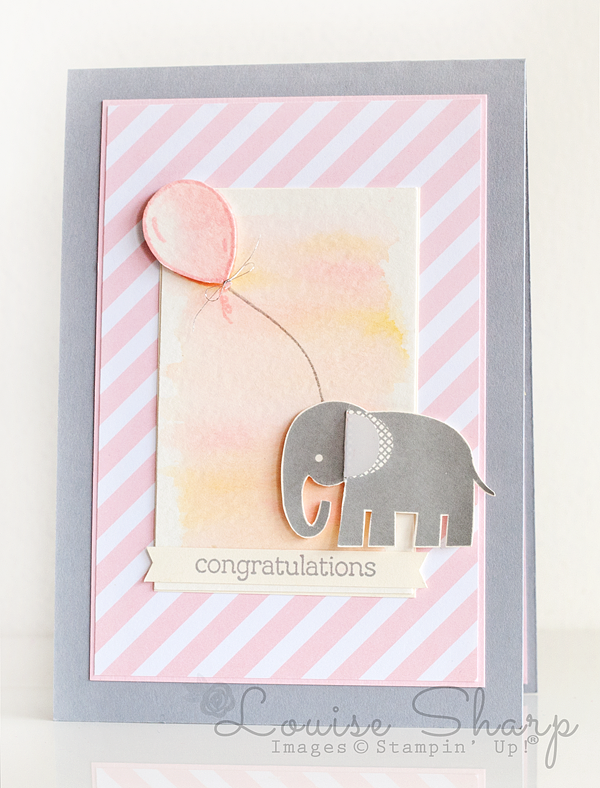 A sweet baby card for my beautiful friend Angie who welcomed to the world a gorgeous baby girl this week. I watercoloured the background with an Aqua Painter and pressed ink into the lids of Pink Pirouette and So Saffron to achieve a soft, pastel watercolored look. The balloon is from the Hey, Girl stamp set and I hope you have noticed the silver thread bow....I will just say that tying a tiny bow like that isn't for the faint-hearted! I inserted a slit in the elephant with a craft-knife and inserted piece of velum for the elephants ear. 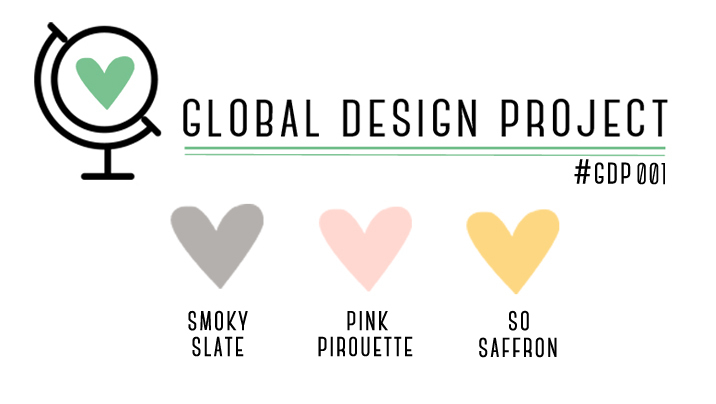 Now head on over to the Global Design Project and see all our amazing Design Team Members and why not play along too?! Congratulations to my beautiful friend Angie and her partner Chris on the safe arrival of baby Imogen Willow, she's simply perfect in every way. So adorable and sweet! You really know how to make soft, elegant and clean cards Louise. That little tiny weeny bow is ridiculously incredible. Its those small details that make all the difference. Thank you for everything you have done putting the GDP team together. None of this would have happened without you. Louise, your card is so sweet. Thank you for all the hard work that you have done to make the GDP a reality! I am so thrilled to be a part of this talented group of demonstrators. Hugs! What a cute card. So very precious. You have thought of everything. The elephant and balloon really are stunning on your water colored background. Congrats on week one over at Global Design Project. I am looking forward to seeing what all you guys create each week. 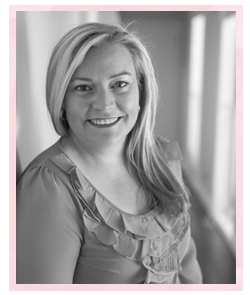 Louise - Your project is so beautiful! Could this elephant be more adorable? No. I'm so happy to be serving on this Global Design Project Design Team with you. 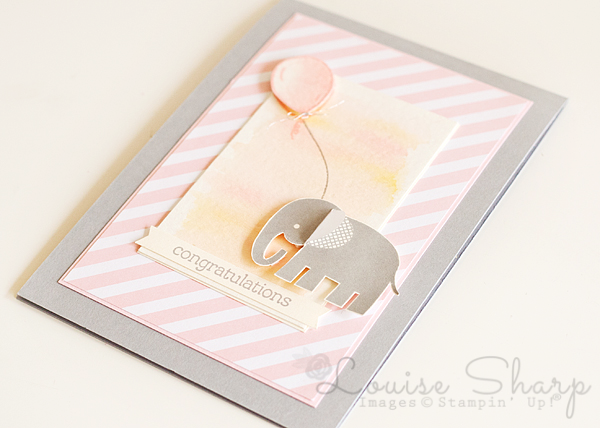 Super cute elephant and love the vellum ear idea Louise! I am not a baby card maker, but when I saw your card, I felt in love directly with it. So soft, so cute. what a sweet card! And I love the water colored background! Love love love! 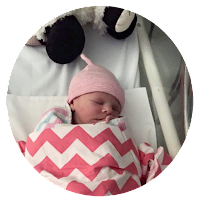 You sure know how to make baby cards look so good! Congrats to you on your new challenge site and congrats to your friends! Imogen is beautiful!